Click on the link, which will take you to the Login screen. Your username is your full e-mail address. Your password is a temporary password that was e-mailed to you. Upon logging in with your temporary password, you will be prompted to change your password to one of your preference. a. If you are assigned to more than one member account (e.g. multiple hotels, restaurants, etc.) and have the same email address for each member account, you can use the same password. If you ever have problems getting into your account, you can click the ‘Forgot Password’ link on the screen OR contact Talia at 584-1531, talia@discoversaratoga.org for additional assistance. For more information, here is a training guide, http://bit.ly/2lTewbG or, you can set up an appointment with Connie and Talia in our office. Please feel free to contact us at 584-1531, connie@discoversaratoga.org, we would be happy to assist! 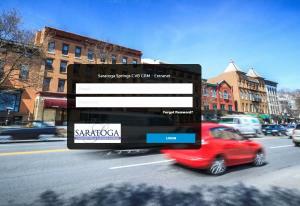 When you become a member of the Saratoga Convention and Tourism Bureau in Saratoga Springs NY, your business will be actively promoted through various member-only outlets. We actively work to attract conventions, meetings, trade shows and social events to Saratoga Springs and bring business to our local neighborhood vendors.